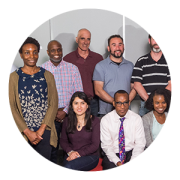 PIDC’s Contract Line of Credit Loan is focused on getting small, minority, women, and disabled-owned contractors the funds they need to allow them to take on larger contract opportunities while managing cash flow. We are specifically focused on the disadvantaged businesses that often lack access to traditional capital sources. Our goal is to support their growth and development to get them to more bankable positions. This successful program has been investing in contractors since 2007, and over that time, PIDC has invested over $46M dollars in 98 businesses. Over the last few years, PIDC has seen the successful growth of two businesses to “graduate’” out of their Contract Line of Credit with PIDC — Bittenbender Construction, LP and BFW Group, LLC. Bittenbender Construction is a woman-owned commercial general contractor that specializes in cultural, academic, health care, corporate and retail projects. Bittenbender Construction has been a PIDC client since 2010. One of the company’s first business loans was through PIDC. Working with PIDC allowed them to secure new contracts and renew larger contracts for existing services. After several years of increasing growth, in 2016 Bittenbender no longer needed to renew their line of credit with PIDC as the company was able to move to a line with a more traditional lender. Bittenbender Construction has grown to a capacity where it can help others by sowing into the projects that impact the city, their community, and the citizens of the city that it was established. Today, the company’s signs can be found everywhere around town, including green spaces such as Sister Cities Park, Love Park, and Central Green at the Navy Yard. Their work also includes several developments for Drexel University, including the W.W. Hagerty Library and the expansion of the Korman Center. Plus, Bittenbender served as general contractor for exhibits in the National Museum of American Jewish History and the Please Touch Museum, as well as renovations to the Independence Visitor Center. Comcast was one of the first clients that gave Bittenbender Construction a shot when they were brand new. “They really recognize the importance of diverse teams, diverse leadership, and investing into companies within our city that create jobs,” said Emily. 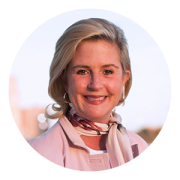 Emily is indeed, one to recognize, having received numerous awards for her work over the years, including the Chamber of Commerce for Greater Philadelphia’s “Small Business Person of the Year Award” in 2010, and the Chamber’s “Paradigm Award” in 2016. BFW Group, located at the Navy Yard, provides construction project management services that increase their clients’ return on investment by lowering the costs of building and operating their physical plant. 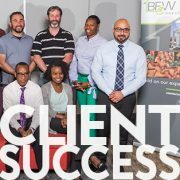 BFW Group has served as project managers for a variety of companies, including the Comcast Innovation Center and Philadelphia Public Safety Services Campus. BFW Group has been a client with PIDC since 2015 and used funding from PIDC to bridge receivables. “The Contract Line of Credit was backed by receivables and they really gave us the opportunity to pay our bills on time,” said BFW Group President and CEO, Blane F. Stoddart. “Within two days, the funds were in our account and we were able to make payroll. We’ve never missed a payroll for six years and PIDC was a part of that. PIDC allowed us to stabilize.” The company closed on their line of credit in December 2018 to move into a line with Citizens Bank. Since its start during the difficult times of the recession up to the period of working with PIDC, the BFW Group has made tremendous gains. Financing for the Contract Line of Credit is available to qualified businesses that have been awarded public or institutional contracts or sub-contracts. Get started with your own Contract Line of Credit.